Whew! Super Bowl 49 (or XILZXVX or whatever in Roman numerals) was quite a doozy wasn’t it? What with a close score and improbable interceptions and guacamole spilled on the carpet? Yeah, it was a good day. And I tried really hard to make a good day even better by creating a couple tiny snack masterpieces for my friends (and gosh, myself) to enjoy. 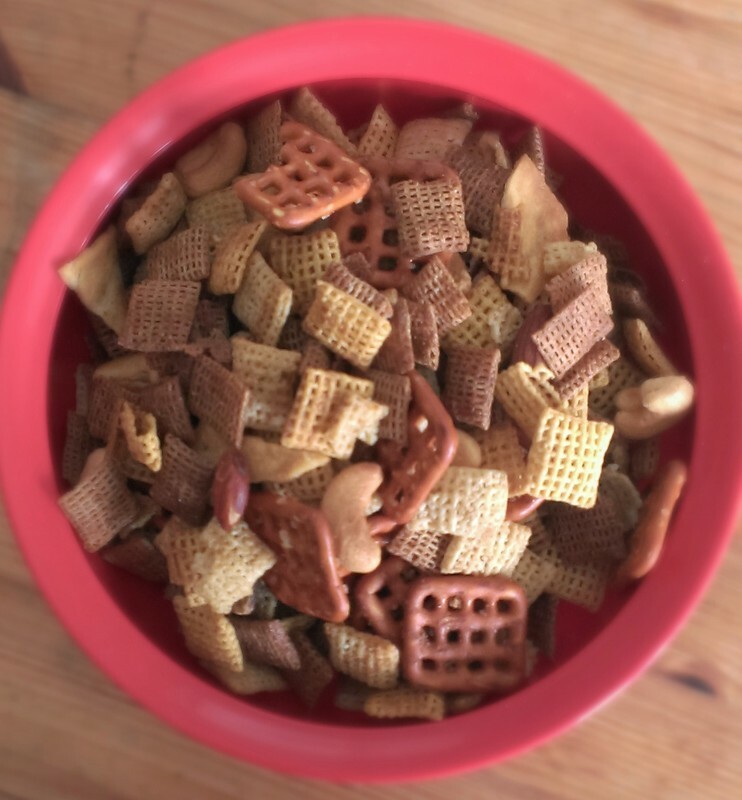 By the power vested in me by The Lady Who Works for Chex, I now share with thee two amazing Chex Mix recipes. *I could not find bagel chips, so used garlic parmesan pita chips instead. Still good. 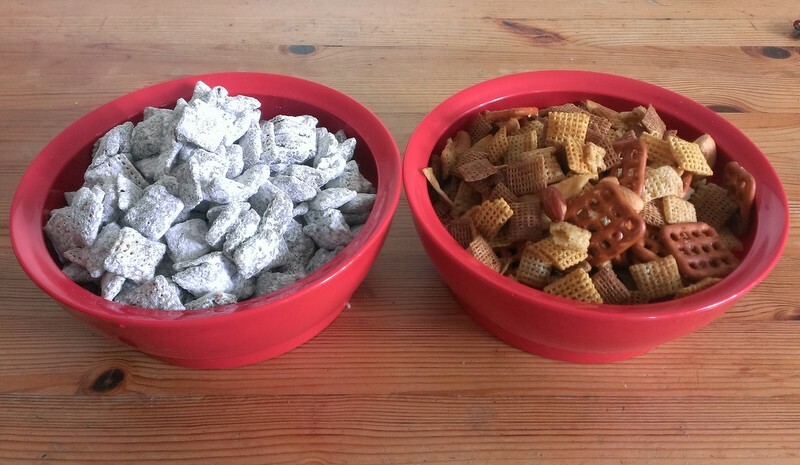 In large bowl, mix cereals, nuts, pretzels and bagel chips; set aside. In ungreased large roasting pan, melt butter in oven. Stir in seasonings. Gradually stir in cereal mixture until evenly coated. Spread on paper towels to cool, about 15 minutes. Store in airtight container. 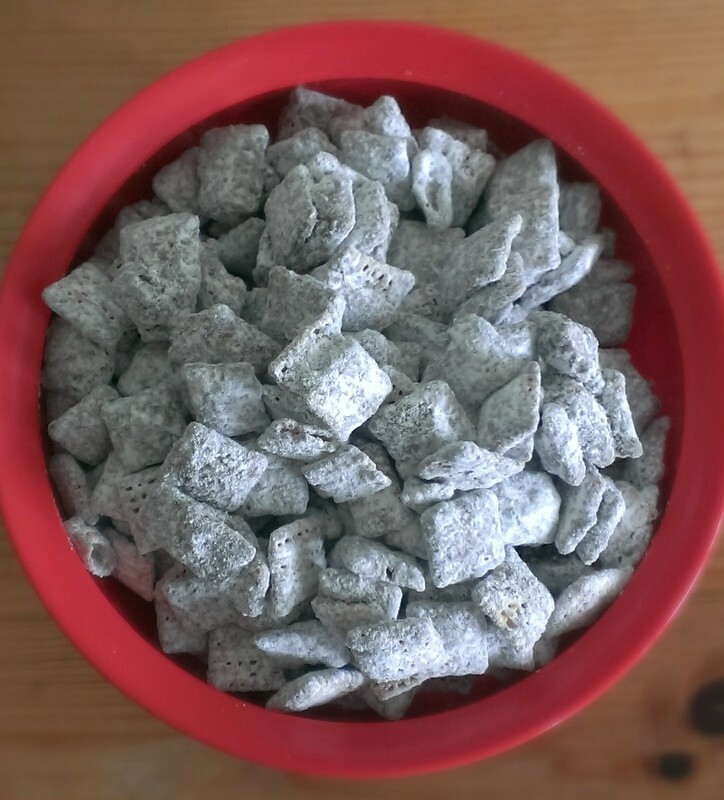 Next up, the ridiculously addicting dessert version, Muddy Buddies! In 1-quart microwavable bowl, microwave chocolate chips, peanut butter and butter uncovered on High 1 minute**; stir. Microwave about 30 seconds longer or until mixture can be stirred smooth. Stir in vanilla. Pour mixture over cereal, stirring until evenly coated. Pour into 2-gallon resealable food-storage plastic bag. **Or, if you’re a microwave-less hippy like me, do this on the stove. And, with the power from loads of sugar and carbs, you can now win your super bowl squares pool and come home with a cool $480. Ok, maybe that’s just me. I’ll take it. You try it next year.